I have decided to start sharing reviews of films and shows I see at the cinema and theatre as we head into 2017, and since I saw two films yesterday, I figured I'd kick off the new segment now! I had high hopes for La La Land - maybe too high. I love musicals and was thrilled at the idea of the first original film musical in a while. There were things about it I enjoyed, but at the same time, I feel it was a missed opportunity. Some of the songs segued nicely, but with many it seemed as if someone was yelling, "Cut! Okay, let's do a song now." In addition, none of the singing was stellar. 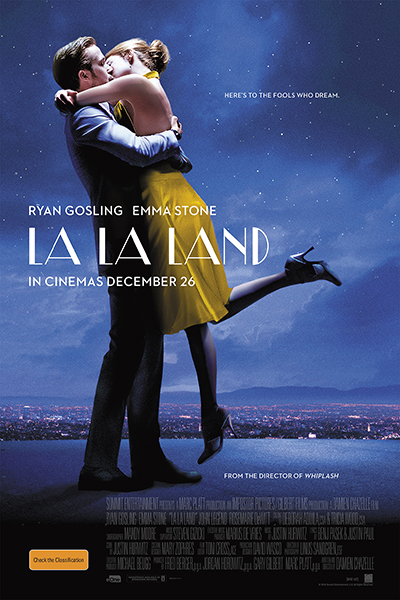 Ryan Gosling gets away with it, but Emma Stone has no support and her voice is weak and thin. When she tries to belt, it sounds more like tuneful shouting. And, aside from the main theme, none of the songs were memorable. In conclusion, I loved the plot, I liked the acting, but as a musical it never quite came together. Let's hope this is the first step towards a revival of film musicals and that this one missing the mark doesn't stop others from the attempt. Diego Luna, Ben Mendelsohn et al. 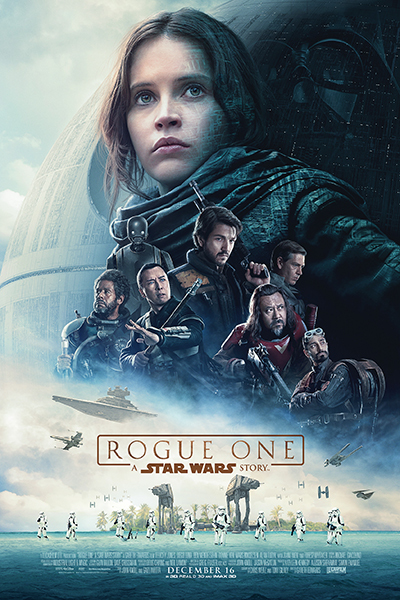 Rogue One is an enjoyable action-adventure story with a strong, diverse cast and excellent special effects. Some of the script was a little laughable, but the cast got around that with compelling performances. There was suspense in terms of discovering which characters would survive; however, there was little edge-of-the-seat drama regarding their mission since we know before the film starts that they will succeed in obtaining the plans. Call me a purest, but I didn't like the lack of the standard Star Wars opening, nor the changes to Williams' themes. In conclusion, this film is an entertaining addition to the series, though not, I would say, one of its highlights.